How do I apply a discount code to my order? 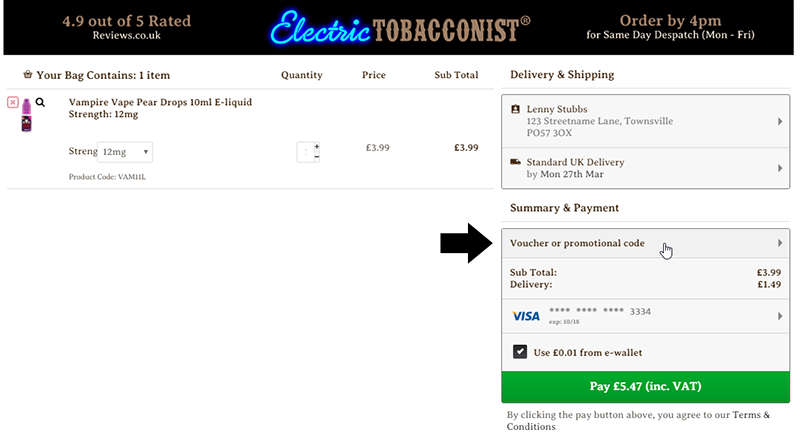 : The Electric Tobacconist Ltd.
After you have added the desired products to your shopping basket, scroll to the bottom of the basket page and you'll see "Got A Discount Code? ", click this and a box will appear where you can enter your discount code. Some offers (e.g. 3 for £10 on selected e-liquids) register as a monetary amount discount and are applied in the checkout/basket page automatically. Any subtotal shown to you before this point will not include this discount.